Banasura Sagar Dam, enriched with beautiful natural landscape is an important tourist attraction in Wayanad. You can easily reach this destination by travelling 22km from Kalpetta. It is a part of Indian Banasurasagar project. Children's park, boating, garden are key attractions of Banasura Sagar Dam. Banasura Sagar Dam, located 22 km away from Kalpetta in Waynad district is a best known tourist spot in Kerala. This majestic dam lying on western ghats is considered as the largest earthern dam in India and second largest dam in Asia. Fabulous view of natural landscape with rich greenery presents an exotic view for visitors. You can see here small clusters of islands formed by the reservoir of Banasura Sagar Dam. In order to widen tourist interests, this tourist spot beholds a small children's park and boating facility. 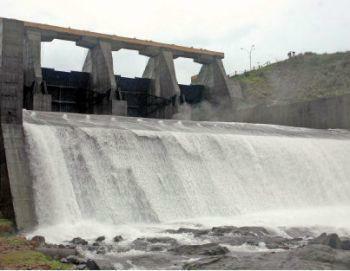 It is a part of Indian Banasurasagar project started in the year 1979. Main intension behind the construction of Banasura Sagar Dam include supporting Kakkayam hydro electric power project, irrigation and drinking water facility. Fabulous view of Banasura hill from the top of Banasura Sagar Dam is really astonishing. Banasura Sagar Dam can be chosen as a perfect spot for study tour packages. This alluring tourist spot with picturesque sight scenes presents real feast for visitors. Tour to Banasura Sagar Dam, enclosed with in thick dense forest gives you relaxation from all stress, tension and hassles of city. Beautiful garden adorned with charming flowers add glitters to the beauty of Banasura Sagar Dam.